The Centre for textile recycling was officially opened in Uzice today, in the presence of numerous guests. The Center is the result of many years of efforts of the Association named The Women's Center in order to achieve the economic strengthening of women, promotion of women's creations, creativity and care for the community. The premises of the Centre have been renovated and adequately equipped thanks to the project Textile Recycling for Sustainable Solutions, which is funded by the European Union within the Cross-border Programme Serbia - Montenegro. In the workshop of the Center it is planned to start up a mini production of items made of used textile and to employ 10 women who have acquired the necessary skills through the same project. In the ninth month of the project duration, the representatives of partner organizations had a meeting for the fifth time in Uzice in order to consider further steps and agree upon joint activities in the next months. 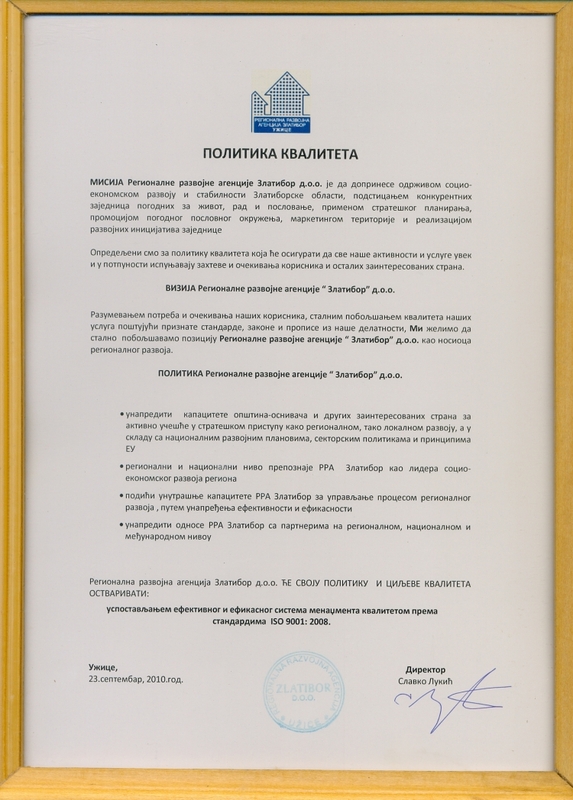 Among the considered topics, there were: further development of marketing plans of the two associations, a final definition of production programs of the two recycling centers and making of prototypes as well as consideration of the best scenario for the organization of Joint exhibition of works/products that is planned for the next year spring. At the transnational competition of innovators (South East Europe Innovation Competition), that was held in Budapest within PROFIS project, the representatives of the Association Women’s center Uzice, presented their idea of textile recycling to the international audience and jury. The Association took part in the national competition that was held in Uzice at the end of October and they were selected with two more innovations from Serbia as the best ones. In accordance with the plan of the project and upon completion of the procurement process, 5 industrial sewing machines were delivered to the Women's Center Uzice today. This equipment is to be used for the production of various products from used textiles, after being used to train the candidates that are currently undergoing a one-month training for this type of activity. After seven months of preparatory activities, the implementation of a one-month training for 20 selected candidates from the category of hard-to-get-a-job people on the topic of reuse and processing of used textiles from households started on Tuesday 25 November.